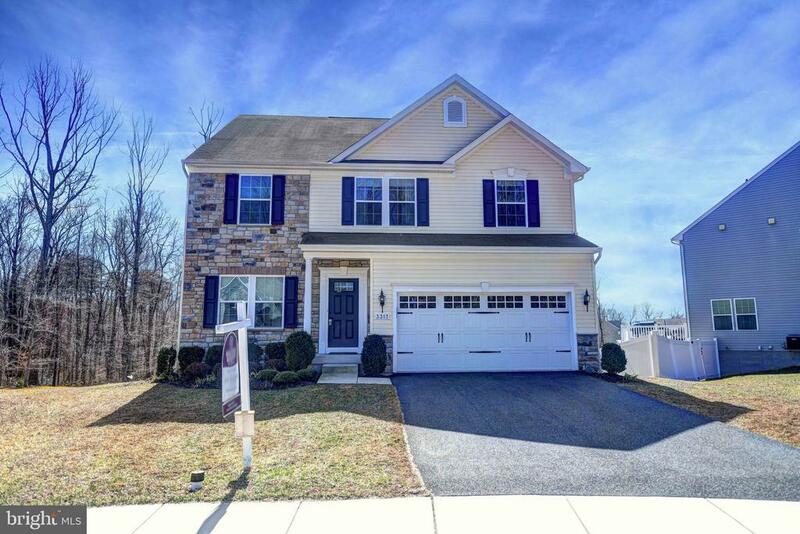 All Abingdon homes currently listed for sale in Abingdon as of 04/21/2019 are shown below. You can change the search criteria at any time by pressing the 'Change Search' button below. If you have any questions or you would like more information about any Abingdon homes for sale or other Abingdon real estate, please contact us and one of our knowledgeable Abingdon REALTORS® would be pleased to assist you. "Designed for water views from every floor this elevated home is everything you would want for waterfront living/entertaining. Master Bedroom loft with additional sitting room with water views. Main lvl bdrms 2 Pellet stoves. Fully fenced yard and large storage shed. Two Year old roof,Large parking pad, multi tiered decks and bulkhead.10,000 lb. boat lift and jet ski lift. No flood ins. required." "Move In Ready - NEW COMMUNITY OF LAUREL RIDGE - Stunning 4 bed, 2 1/2 bath in Laurel Ridge. Open floor plan, granite counters, SS appliances, HW floors, formal LR & DR. Family room w/pellet stove. Solarium off kitchen. Master suite w/French doors and sitting area. Master Bath w/dual sink/sep shower. 3 car garage. Gorgeous in ground pool, beautifully landscaped. Too many upgrades to mention." "MOVE IN THIS SPRING!! PATTERSON MILL SCHOOLS! 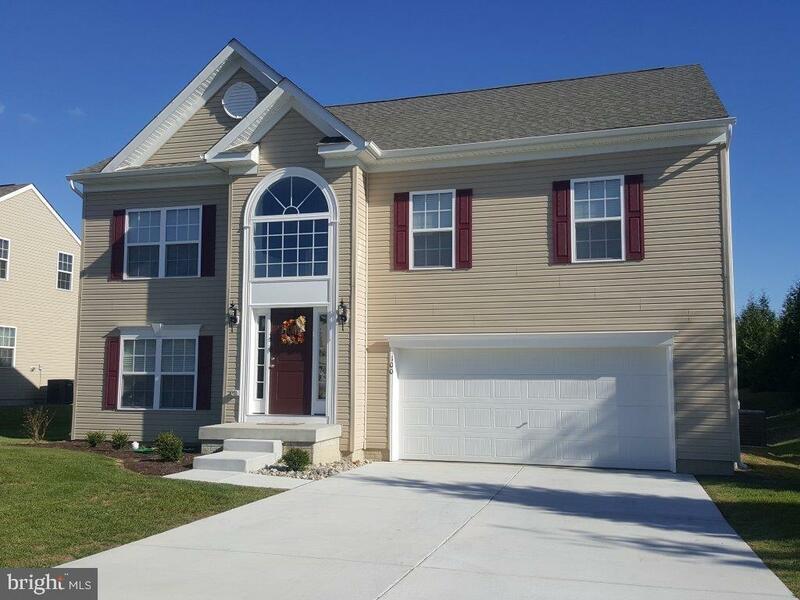 Brand new home located in the highly sought-after community of Laurel Ridge just minutes from I-95 and every convenience. 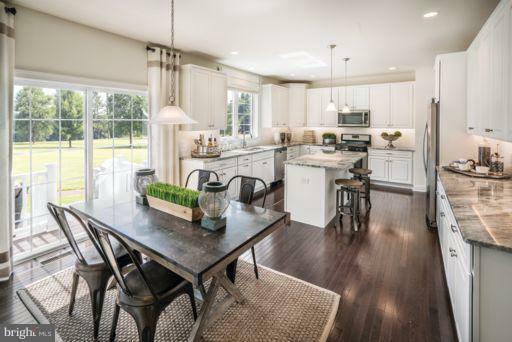 Toll Brothers newest floor plan, the Fincastle - County Manor, is great for those who desire maximum utilization of space and enjoy entertaining. The main level boasts amazing 10' ceilings, private home office, sun drenched kitchen and breakfast area that flows directly into the great room. The large luxurious owners suite has a tray ceiling, two large walk-in closets, sumptuous over-sized semi-frameless shower with drying area and two separate vanities. Three large secondary bedrooms, all featuring walk-in closets, two additional bathrooms and laundry room complete the bedroom level providing the space and privacy everyone desires. Finished lower level rec. room and full bath. Cul-de-sac location just steps from 2.3 miles of community nature trails, expansive hardwood floors, professionally selected finishes and gas fireplace are just a few attributes that make this home a MUST SEE! Call today! This one will not last long! Pictures are of a similar floor plan. Move Into Your Dream Home Now with a 3.99% Rate (4.074% APR)**Based on 30 Yr. Fixed, $550,000 sale price, $385,000 loan amt. Minimum 30% down. Max rate lock is 100 days. Pmt. factor at 3.99% is $4.77 per $1,000 financed. Rate/program avail. through TBI Mortgage Company: NMLS #18154 (www.nmlsconsumeraccess.org): see tbimortgage.com for licensing info; subj. to change w/o notice and for qualified buyer only; other programs avail. Offers, incentives and seller contributions vary by community and are subj. to certain terms, conditions and restrictions. This is not an offering where prohibited by law. See sales representative for details. 3/19. Equal Housing Lender." "NATIONAL SALES EVENT - APRIL 6-28, 2019 - GREAT RATES + PERSONALIZED INCENTIVES = TREMENDOUS BUYING POWER. PATTERSON MILL SCHOOLS! Don't miss this incredible opportunity to live in one of the most sought-after communities in Harford County. Just minutes from I-95 and near every convenience. 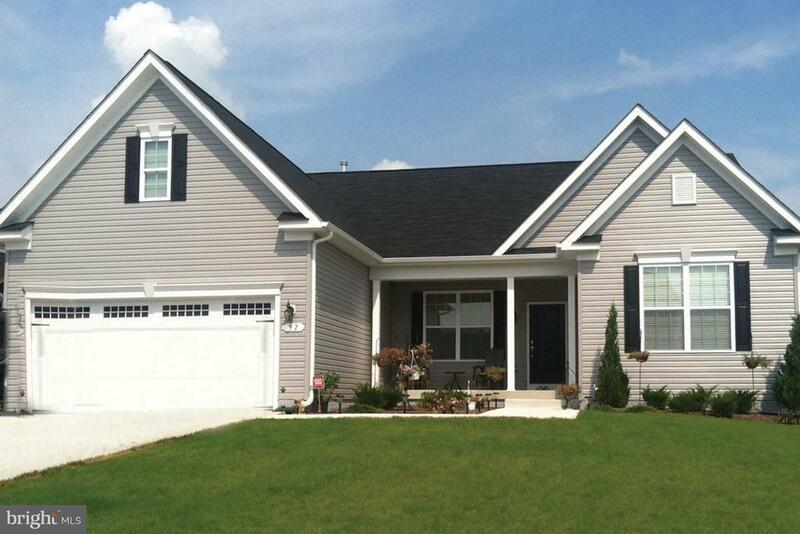 This Duke - Lexington is located just steps from 2.3 miles of community nature trails. Approximately 4,585 finished sq. ft. The Duke provides a grand setting for cooking and entertaining, featuring a spacious kitchen designed with the chef in mind. And after a night hosting friends and family, this home offers luxurious respite in its master bedroom, which includes a private den and a dedicated dressing area. Once you enter through the two-story foyer, which is flanked on one side by a living room and on the other by a dining room, this gracious floorplan leads you to an expansive family room. Adjacent to the family room is a private study. Upstairs, the lush master bedroom suite includes a spacious master den and an indulgent master bath with a cathedral ceiling, a Roman tub, a separate shower, and a private dressing area. To-be-built. Pictures are of similar floor plan." "Let Creative Home Co. build your dream home on this beautiful 3.26 acre lot in Abingdon, just minutes to I-95 and convenient to APG. Choose the Romantic or many other models or bring your own. 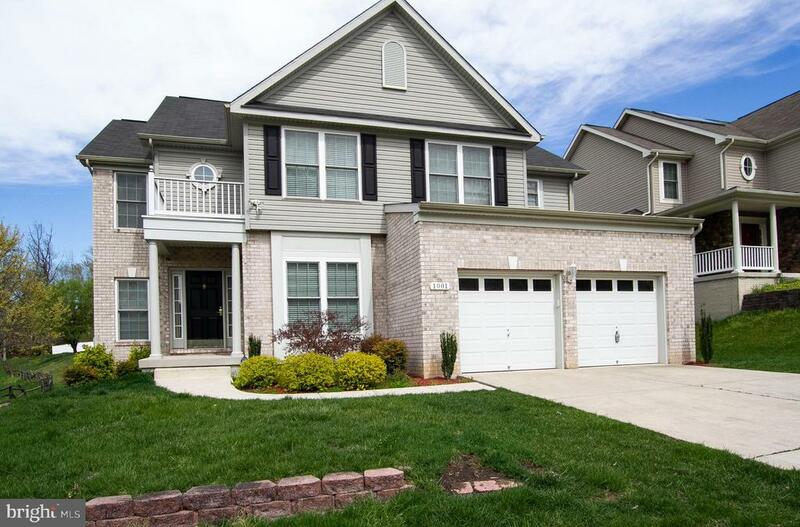 4 bedrooms, 3.5 baths, beautiful master suite with private bath. At Creative Home Co. they start with what matters most to you. Custom means no compromises. It means coming home every day to a house that reflects who you are and how you live. Creative Home Co. blends forward-thinking ingenuity with time-tested artistry. Known for their relentless innovation, meticulous attention to detail and exacting standards of construction, they have earned a reputation for exceptional quality and unparalleled service. Creative Home Co. prides itself on working with passion and precision to transform your vision into a place of enduring happy memories. Their highly personalized approach is among the many things that sets Creative Home Co. apart from other builders.Creative Home Co. ~ Live outside the box.CALL LISTING AGENT TO REGISTER YOUR BUYERS & FOR AN APPOINTMENT! Photo is representative of available options and offerings." "Let Creative Home Co. build your dream home on this beautiful 3.26 acre lot in Abingdon, just minutes to I-95 and convenient to APG. Choose from the Innovator or many other models or bring your own. This 3 bedroom, 2 bath rancher with beautiful master suite with private bath. At Creative Home Co. they start with what matters most to you. Custom means no compromises. It means coming home every day to a house that reflects who you are and how you live. Creative Home Co. blends forward-thinking ingenuity with time-tested artistry. Known for their relentless innovation, meticulous attention to detail and exacting standards of construction, they have earned a reputation for exceptional quality and unparalleled service. Creative Home Co. prides itself on working with passion and precision to transform your vision into a place of enduring happy memories. Their highly personalized approach is among the many things that sets Creative Home Co. apart from other builders.Creative Home Co. ~ Live outside the box.CALL LISTING AGENT TO REGISTER YOUR BUYERS & FOR AN APPOINTMENT! Photo is representative of available options and offerings." "Let Creative Home Co. build your dream home on this beautiful 3.26 acre lot in Abingdon, just minutes to I-95 and convenient to APG. Choose from the Craftsman or many other models or bring your own. 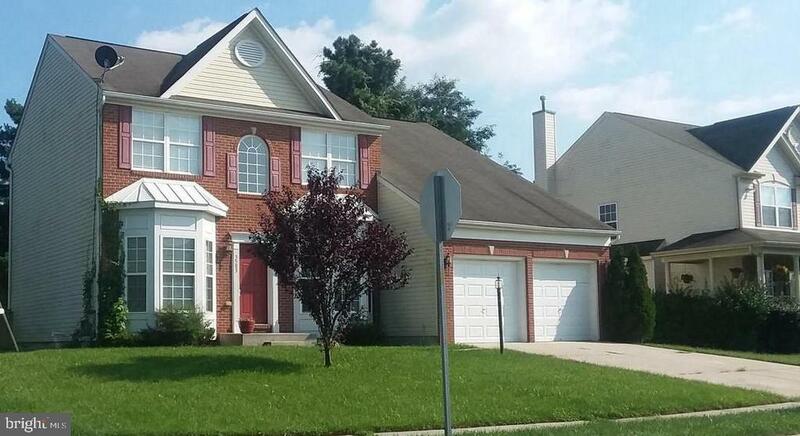 4 bedrooms, 2.5 baths, beautiful master suite with private bath. At Creative Home Co. they start with what matters most to you. Custom means no compromises. It means coming home every day to a house that reflects who you are and how you live. Creative Home Co. blends forward-thinking ingenuity with time-tested artistry. Known for their relentless innovation, meticulous attention to detail and exacting standards of construction, they have earned a reputation for exceptional quality and unparalleled service. Creative Home Co. prides itself on working with passion and precision to transform your vision into a place of enduring happy memories. Their highly personalized approach is among the many things that sets Creative Home Co. apart from other builders.Creative Home Co. ~ Live outside the box.CALL LISTING AGENT TO REGISTER YOUR BUYERS & FOR AN APPOINTMENT! Photo is representative of available options and offerings." "MOVE IN THIS SPRING!! PATTERSON MILL SCHOOLS! 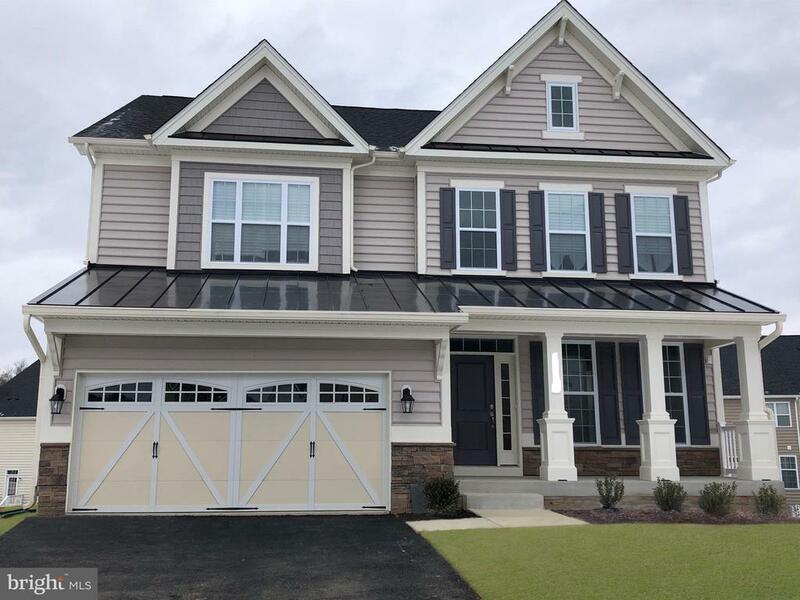 Brand new home located in the highly sought-after community of Laurel Ridge just minutes from I-95 and every convenience. This beautiful Irvine - Devonshire home features four spacious bedrooms and three full baths on the 2nd floor. The luxurious owners suite has a cathedral ceiling, large walk-in closet, sumptuous semi-frameless shower and roman tub. The grand two-story foyer greets you as you enter the main level and leads you past the solid oak staircase to the open concept main level with 9' ceilings that blends the large kitchen, great room and morning room into one large sunlit space. Great for entertaining! Finished lower level rec. room and full bath. Expansive hardwood floors, professionally selected finishes and gas fireplace are just a few attributes that make this home a MUST SEE! Call today! This one will not last long! Pictures are of a similar floor plan. Move Into Your Dream Home Now with a 3.99% Rate (4.074% APR)**Based on 30 Yr. Fixed, $550,000 sale price, $385,000 loan amt. Minimum 30% down. Max rate lock is 100 days. Pmt. factor at 3.99% is $4.77 per $1,000 financed. Rate/program avail. through TBI Mortgage Company: NMLS #18154 (www.nmlsconsumeraccess.org): see tbimortgage.com for licensing info; subj. to change w/o notice and for qualified buyer only; other programs avail. Offers, incentives and seller contributions vary by community and are subj. to certain terms, conditions and restrictions. This is not an offering where prohibited by law. See sales representative for details. 3/19. Equal Housing Lender." "NATIONAL SALES EVENT - APRIL 6-28, 2019 - GREAT RATES + PERSONALIZED INCENTIVES = TREMENDOUS BUYING POWER. 2nd Floor offers impressive overlook to light-filled 2-story Family Room. Large Master Bedroom features huge walk-in closet & a luxurious master bath with Roman tub-separate shower-dual-sink vanity. 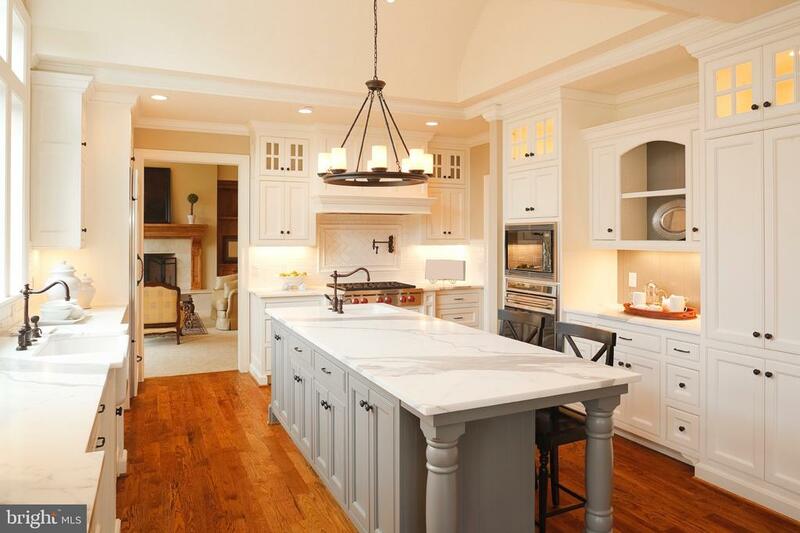 Kitchen-center island, ample counter space, pantry, large breakfast area. Elegant foyer opens to formal Dining Room & Living Room. Double doors to Private study. 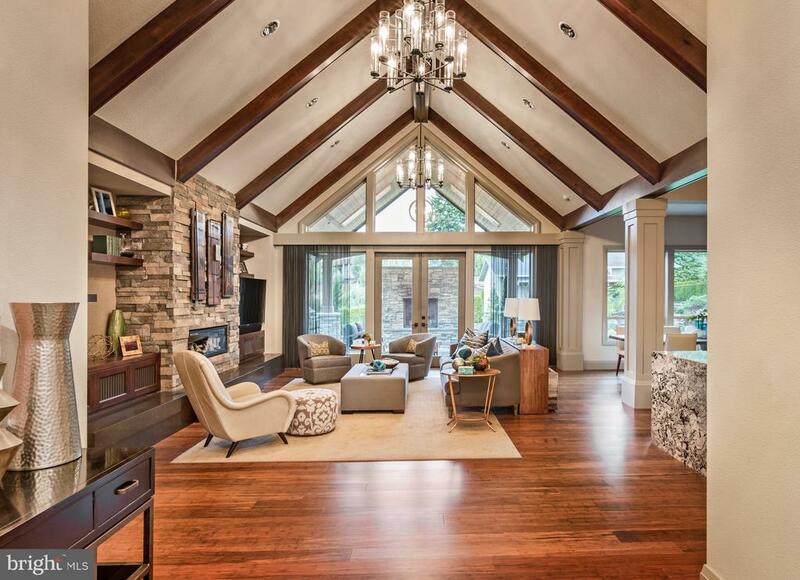 9' ceilings throughout." "NATIONAL SALES EVENT - APRIL 6-28, 2019 - GREAT RATES + PERSONALIZED INCENTIVES = TREMENDOUS BUYING POWER. PATTERSON MILL SCHOOLS! 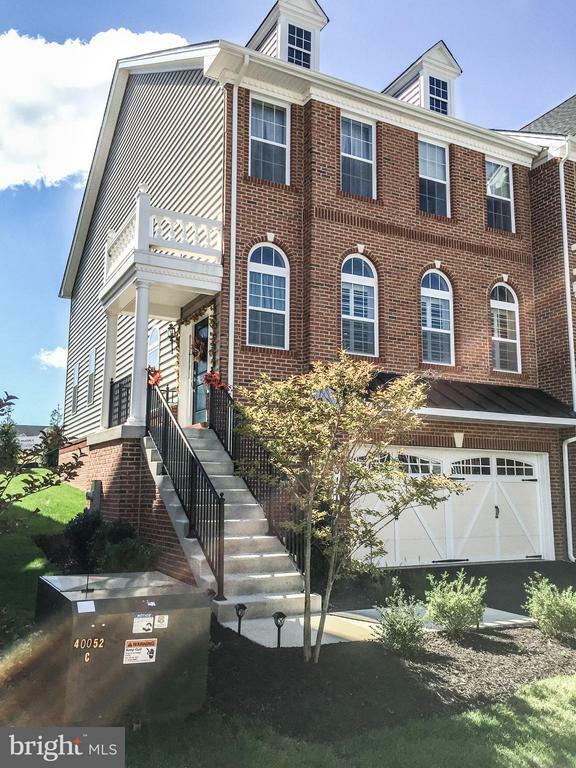 Don't miss this incredible opportunity to live in one of the most sought-after communities in Harford County. Just minutes from I-95 and near every convenience. 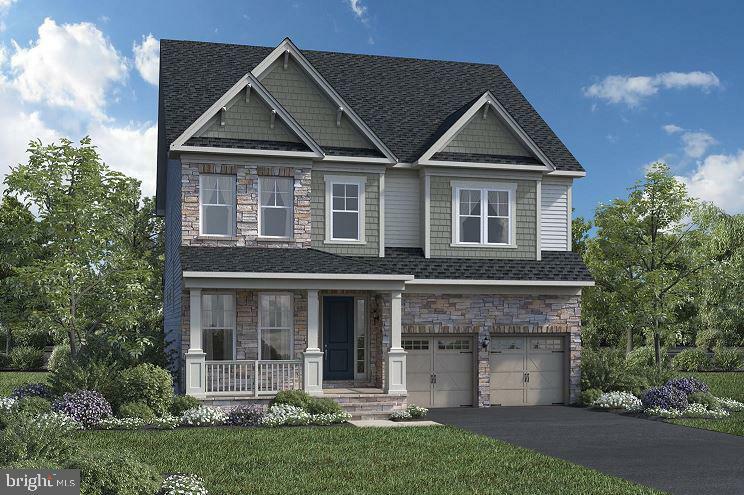 This Woodstock - Berkshire is located just steps from 2.3 miles of community nature trails. Approximately 3883 sq. ft. this home features a spacious family room, private study retreat, large kitchen with plenty of space for cooking-baking. Large center island, generous counter space, large breakfast area and access to family room with vaulted ceilings. Grand 2-story foyer leading to stunning turned oak staircase. The living room-dining room are ideal for entertaining. Luxurious master bedroom features a sitting area and large walk-in closet. Master bath has semi-frameless shower enclosure, dual sink vanity, roman tub and private toilet area. To-be-built. Pictures are of similar floor plan." "Welcome to this gorgeous home on a fabulous 1.88 lot. 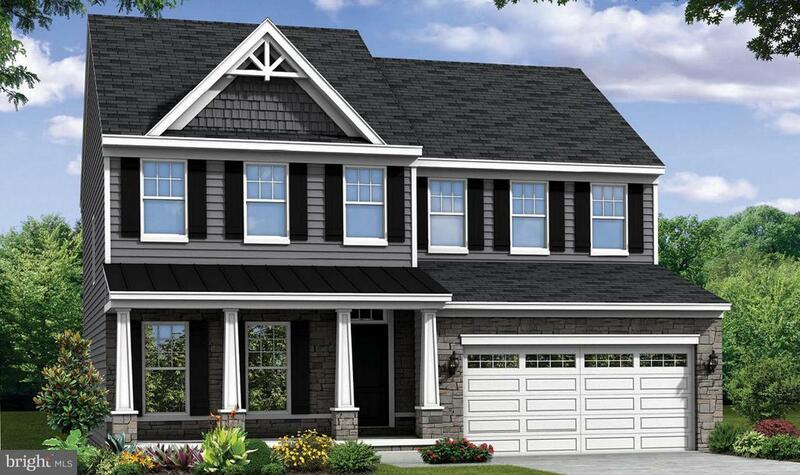 5 Bedroom, 3.5 baths, 2-car side-entry garage and 3800 finished sq ft! Full wraparound front porch, vista views, firepit & expansive deck. Features include a remodeled gourmet kitchen with granite counters and SS appliances, finished walk-out basement with recreation room bedroom, full bath and wet bar. Master Bedroom offers a luxury remodeled bath and walk-in closet. Updates include heat pump ('14) with propane back-up heat, fresh paint, carpet & pergo floors. Storage in attic & garage. Plenty of additional parking on extended driveway. 1-mile to major restaurants & shops. Public water and sewer. Natural gas available from main road. Bel Air Schools! Check out the Virtual Tour!" "NATIONAL SALES EVENT - APRIL 6-28, 2019 - GREAT RATES + PERSONALIZED INCENTIVES = TREMENDOUS BUYING POWER. PATTERSON MILL SCHOOLS! 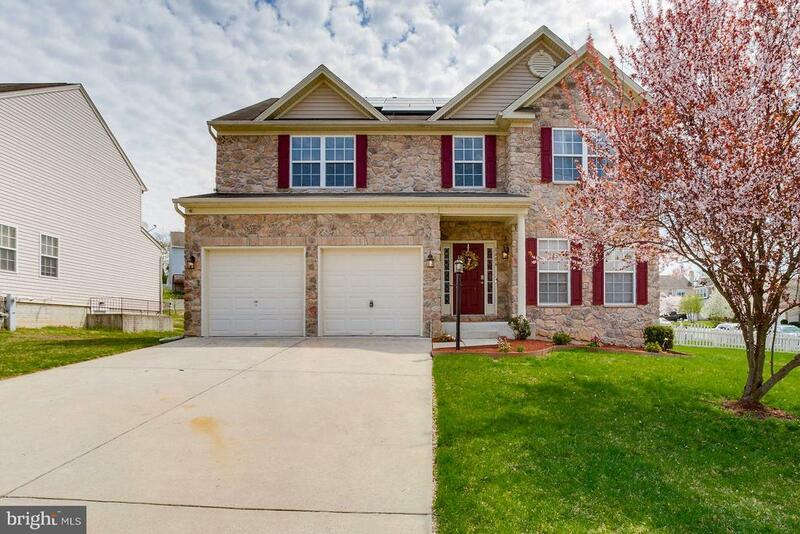 Don't miss this incredible opportunity to live in one of the most sought-after communities in Harford County. Just minutes from I-95 and near every convenience. 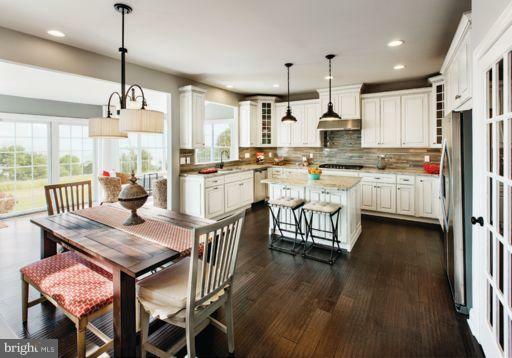 This Irvine Country Manor is just steps from 2.3 miles of community nature trails. Approximately 3466 sq. ft. this home features a spacious family room, large kitchen with plenty of space for cooking-baking. Large center island, generous counter space, large breakfast area and access to family room with vaulted ceilings. 2 story foyer has view of stunning turned oak staircase. The living room-dining room are ideal for entertaining. Master bedroom has large walk-in closet. Master bath has dual sinks, roman tub, 9' ceilings throughout." "Welcome to Overview Manor and Welcome to your new dream home! This home has all your I Wants~! With 4 Bedrooms & 4.5 Bathrooms -- 2 Master Suites! 2 story Ceiling in the Foyer. Open Formal Living Room & Dining Room. Private Office/Den. Open Kitchen & Family Room. Spacious Eat-in Kitchen with Center Island Breakfast Bar, Corian Counters, Glass Cooktop and Double Wall Ovens. 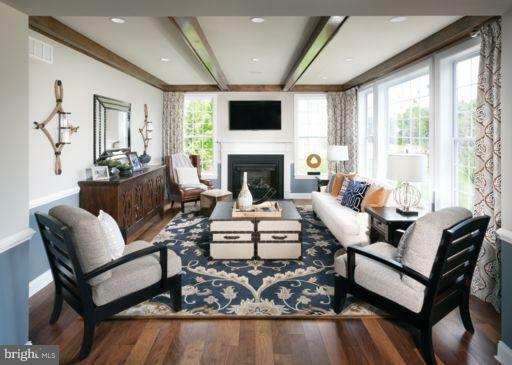 Family Room features Coffered Ceiling and a Gas Fireplace. Main level also features and Oversized Laundry/Mud Room and Dual Staircases. Master Suite features Tray Ceilings, a Sitting Room and Walk-in Closet. Master bath with Dual Vanities, Soaking Tub, Water Closet and Separate Shower Stall. Second Master with Private Bath. Bedrooms 3 & 4 share a Jack & Jill Bath. Finished Lower Level features a Second Family Room, Full Bath and Gym (or possible 5th bedroom). Covered Front Porch and Walk Off Deck are just Perfect for Entertaining. Don't wait you do not want to miss this home...."
"NATIONAL SALES EVENT - APRIL 6-28, 2019 - GREAT RATES + PERSONALIZED INCENTIVES = TREMENDOUS BUYING POWER. HOME SITE OF THE MONTH!! For a limited time enjoy exceptional savings on home site #28 includinga FREE FINISHED LOWER LEVEL RECREATION AREA AND FULL BATH!. 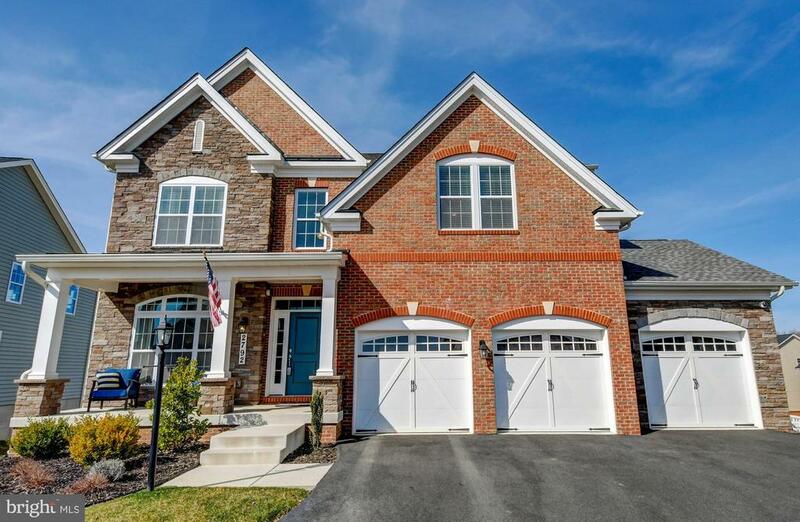 Don't miss this incredible opportunity to live in one of the most sought-after communities in Harford County. Located in the PATTERSON MILL SCHOOL DISTRICT! Just minutes from I-95 and near every convenience. This Irvine Country Manor is just steps from 2.3 miles of community nature trails. Approximately 3466 sq. ft. this home features a spacious family room, large kitchen with plenty of space for cooking-baking. Large center island, generous counter space, large breakfast area and access to family room with vaulted ceilings. 2 story foyer has view of stunning turned oak staircase. The living room-dining room are ideal for entertaining. Master bedroom has large walk-in closet. Master bath has dual sinks, roman tub, 9' ceilings throughout. Pictures are of a similar floor plan. Discounts and incentives offered on the home site of the month can not be combined with any other offers." "If you are looking for new, look here! Shows like a model! Gorgeous end of group enhanced by the Seller's sophisticated interior design. Sleek and spacious open concept on main level with tons of natural sunlight and hardwood floors. Gourmet kitchen with stainless steel appliances, breakfast island, and roomy dining area. Double door entry into the luxurious owner's suite with vaulted ceilings, private bath and unbelievable custom closets. Upper level boasts two additional bedrooms and laundry. More square footage in the finished lower level with full bath and walkout. Parking pad and 2 car garage allow for easy entry. Shows like new but already has the custom storage, window treatments, and upgrades that often aren't offered by the builder. 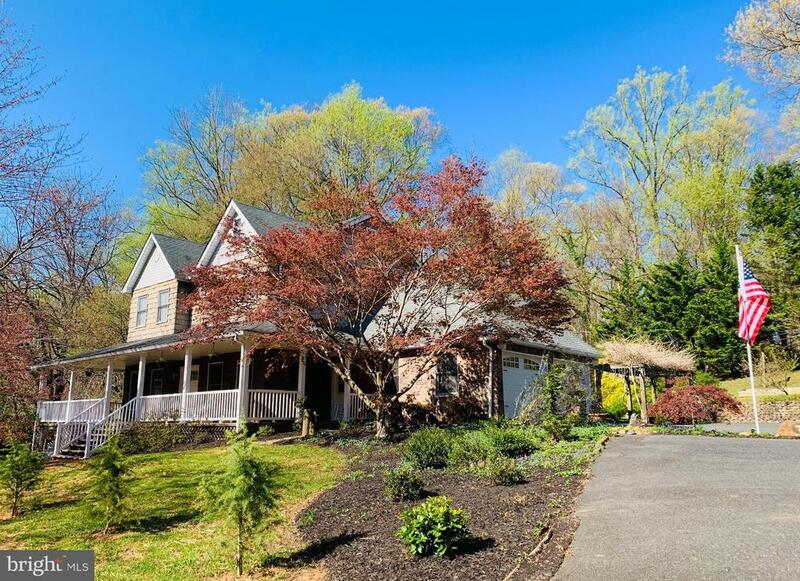 Convenient location to I95, Bel Air, Abingdon shops, restaurants, etc. 30 minute commute to downtown Baltimore and Oriole Park." "TBB by Timberlake Design/Build. This charming home features an open foyer leading to a flex room, tucked staircase and a centrally located powder room. A spacious family room with opt. fireplace, eat-in kitchen, breakfast bar/island, walk-in pantry & convenient drop zone off of your 2 car garage. Add an opt. 4 foot extension to your family room & opt. sunroom off of kitchen. Upstairs, 4 spacious bedrooms, laundry & half bath give everyone room to spread out. Select a deluxe bath for the owner's suite or a 3rd full bath for bedroom #4. Enjoy the option to add valuable space with a lower level recreation room. Other models available. Can buy lot without builder tie-in, see MDHR180354." "STUNNINGLY ELEGANT COLONIAL with 5,344 SF! 5 BED*4 1/2 BA*NEW STAINLESS STEEL APPLIANCES-2 YRS OLD*GE MONOGRAM WALL OVEN*MONOGRAM DISHWASHER*42 INCH CHERRY MERILLAT CABINETS*STONE FP*JENN-AIR TOUCH CONTROL RADIANT COOK-TOP*HARDWOOD FLOORS ON MAIN LEVEL*NEW CARPET IN BASEMENT*CUSTOM BLINDS IN SUN ROOM* LARGE MASTER SUITE WITH TWO WALK-IN CLOSET*SOAKING TUB*DOUBLE SINKS*30x14 TREX DECK WITH PVC RAILINGS*UPGRADED VANITY CABINETS, UPGRADED CERAMIC TILE IN BATHS*FULLY FINISHED BASEMENT WITH 5TH BEDROOM & FULL BATH* ALL LOW-FLOW TOILETS*"
"TBB by Timberlake Design/Build. This stylist rancher provides a large amount of function & all of your must-haves on one well-designed level. Curb appeal is enhanced by a charming covered front porch that enters to a large foyer. The main level has 3 bedrooms, 2 full baths. Family Room, Kitchen/Breakfast Area and Laundry Room. The 1st floor master suite with large bath and spacious walk-in closet is located at the rear of the home for privacy and quiet. If needed, you can add a 2nd level with up to 2 additional bedrooms & full bath! Enjoy added space and value with your finished recreation room. Other models available. Lot can be purchased separately, without builder tie-in, see MDHR180350." "PRICE ADJUSTED, COME SEE! 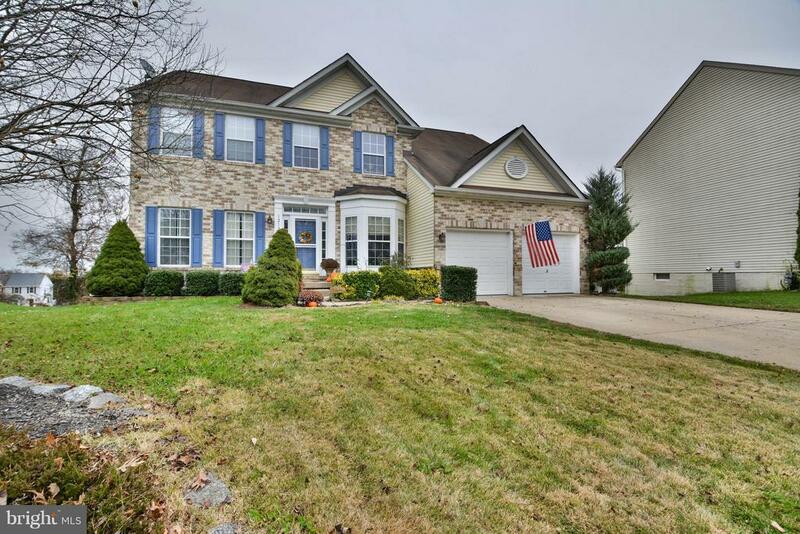 Beautiful 6 Yr Young Colonial with Stone Accent Facade, Dark Hardwood entire Main Level, First Level Fam Rm w/Gas FP, Gourmet Kitchen w/Granite, Stainless Appl's, Bkfst Bar, Bkfst Room, Deck, Very Spacious BR's Plus Loft Area Upper Level(potential for BR4), 2nd Flr Laundry, Huge Lower Level Rec Rm, Bonus.Toy Rm,, Half bath w.rough in for Shower, Walkout Lot backs to Woods.Walking Path, 2 Car Garage, more.."
"Gorgeous colonial conveniently located close to I95, Rt. 40 as well as shopping, dining and more. Home sits on a picturesque lot located in the community of Hidden Stream that backs to trees and nature. Home boasts 4 bedrooms on the upper level and the potential 5th room the lower level that can also be used as an office. Updates include new roof, newer HVAC and hot water heater, beautiful kitchen, spacious finished lower level with full bath and bar for entertaining friends and family, tub shower in the upstairs bathroom, French Doors that lead to the huge deck, modern laminate flooring. Wait until you see the huge master suite with walk-in closet, master bath with soaking tub and so much more." 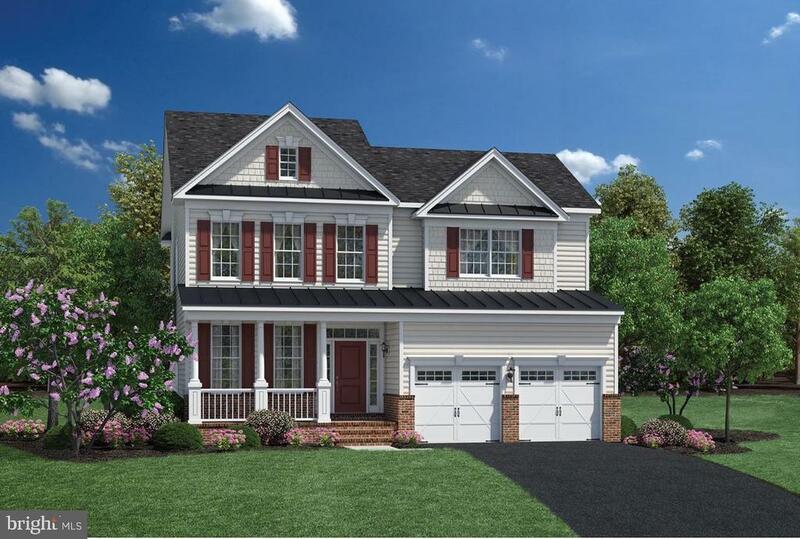 "Gemcraft Homes, new construction in Abingdon. Water view! Ready for a late spring delivery. Featuring 3 bedrooms, 2 1/2 baths finished lower-level rec-room,2 car garage, large kitchen with granite counter tops, and more! Water view. Photo's are of a like model and taxes are estimated. Homes, new construction in Abingdon. Featuring 3 bedrooms, 2 1/2 baths finished lower-level rec-room,2 car garage, large kitchen with granite counter tops, and more! Water view. Photo's are of a like model and taxes are estimated." "PRICE REDUCED! BRING OFFERS! STUNNING 5-6 BEDROOM WITH ALL APPLIANCES* NEW CARPET* FRESHLY PAINTED* MOVE-IN READY* GORGEOUS HARDWOOD ENTRY FOYER* LARGE MASTER SUITE WITH WALK-IN CLOSET* SOAKING TUB* SEPARATE SHOWER* DOUBLE VANITY* LARGE BAY WINDOW* BEDROOM OR OFFICE ON MAIN LEVEL* COOKING ISLAND* GARDEN WINDOW* LARGE DECK* 210 WARRANTY*FIN.BASEMENT WITH 1/2 BATH*GARDEN WINDOW* LARGE DECK* FENCED PRIVATE BACKYARD"
"**REDUCED**REAR YARD OASIS**POOL**PATIO**DECK** ALL PART OF THIS STUNNING 4 BEDROOM BRICK FRONT COLONIAL W/ IN GROUND POOL & 2 CAR ATTACHED GARAGE AT END OF CUL-DE-SAC IN COKESBURY MANOR. 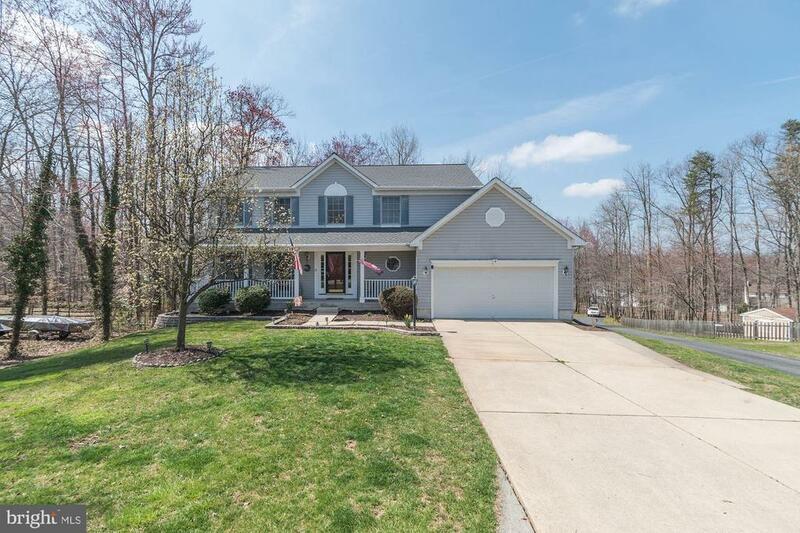 MAIN LEVEL FEATURES HARDWOOD ENTRY, PROFESSIONAL OFFICE W/ HARDWOODS, LIVING ROOM, FORMAL DINING ROOM W/ CUSTOM BUILT-INS, UPDATED, OVER-SIZED EAT-IN KITCHEN W/ GRANITE & STAINLESS STEEL APPLIANCES FLOWING INTO EXPANSIVE FAMILY ROOM W/ GAS FIREPLACE. UPPER LEVEL OFFERS MASTER W/ EN-SUITE & WALK-IN CLOSET IN ADDITION TO 3 SPACIOUS BEDROOMS, HALL BATH & LAUNDRY ROOM. FULLY FINISHED LOWER LEVEL INCLUDES REC ROOM, GAME ROOM W/ FIREPLACE, FULLY EQUIPPED BAR AREA W/ MARBLE TOP WET BAR, COMPLETE FITNESS ROOM, HALF BATH & WALKOUT TO PATIO, FENCED REAR YARD, GUNNITE IN-GROUND POOL W/ CONCRETE DECKING AS WELL AS TREX DECK OFF OF KITCHEN AREA W/ STEPS DOWN TO PATIO/ POOL AREA." "This superior home is HOT, HOT, HOT and priced to move now! Introducing pure luxury at Pomeroy Manor. Situated on a super lot, this gem features a gourmet kitchen that opens to the exquisite living room; cathedral like ceilings; an elegant dining room;a grand master suite, with walk-in closet and tons of natural light; fenced rear yard; laundry on the main level and so much more. 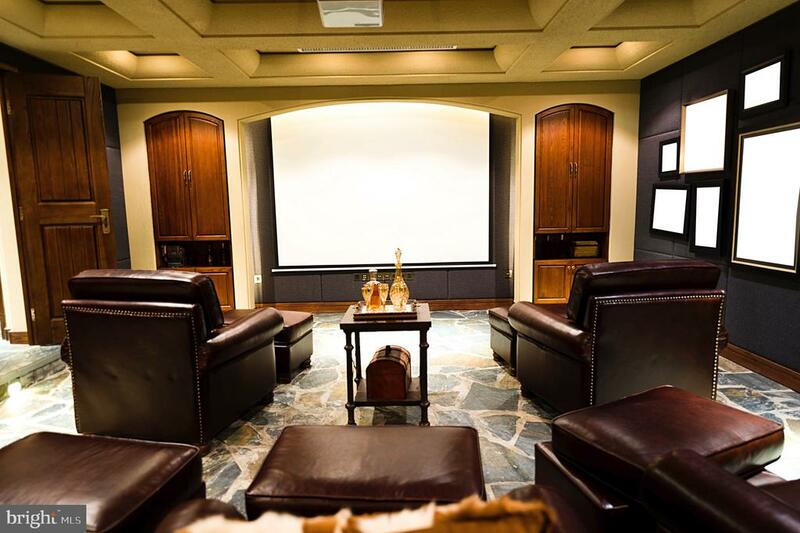 And if that's wasn't enough to make you fall in love, you MUST SEE the huge, fully finished basement. 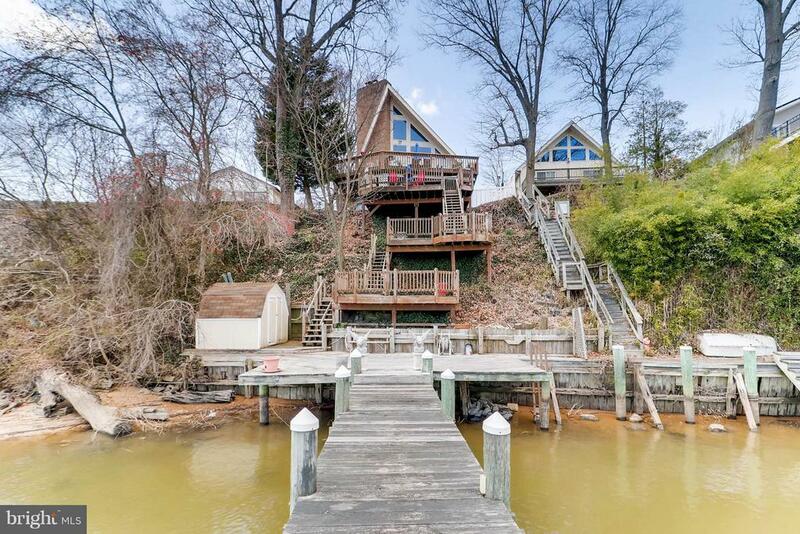 All these amazing amenities make this house the best value in the neighborhood. Come see for yourself! ***Special Financing options available, including a $0 Down Option. Call agent for details."